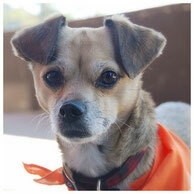 Pork Chop is about 13-14 lbs, appx 6 years old Doxie/Chi mix. Pork Chop is very sweet and friendly. He may be shy in the beginning but warms up very quickly. He is good on public if you would like to take him out with you often. He is good with other dogs. He received UTD shots, microchipped and neutered. He is well behaved in the house as well. Bleubi is super friendly, super positive and a happy dog. 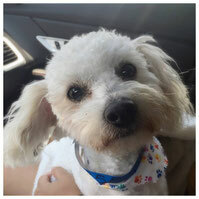 He is about 4 years old, grey color poodle, 14 lbs (not too small), neutered male, received UTD shots and microchipped. He is GREAT with other dogs but more people oriented. He will do fine as an only dog in household as well. He is housebroken as well. Meet Bamboo! 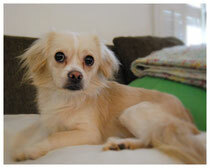 Bamboo is appx 2 years old, neutered male, 11 lbs and super sweet. 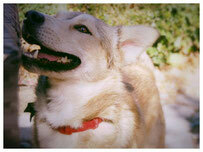 He is always smiling, loves to play with his toys, friendly to everybody he meets and great with other dogs. Bamboo was hit by a car and has been paralyzed. After we rescued him, we took him to a neurologist and found out he had no surgical option because his injury was old. He was recently neutered and is waiting to start having a physical therapy. Edison is a sweet and kind dog. At first, he may seem shy, but once comfortable, he turns into a sweetheart. He was rescued from a hoarding case and separated from his many siblings. In foster care, he gets along well with big and small dogs, as well as cats. Edison sleeps well in his kennel, and he is potty trained. He also walks well on a leash. He has a beautiful coat, clean teeth, and is already neutered and up to date on his shots. Edison is a slow eater, but not picky. 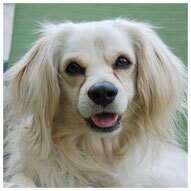 He is 10 lbs, 1.5 years old, neutered male, good with other dogs, cats and children. Eros is 10 months old Boxer puppy. 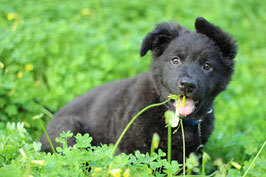 He is house trained, knows few commands and loves to play. He is good with other dogs. He is very sweet to people. As a puppy, he is not fully grown yet. 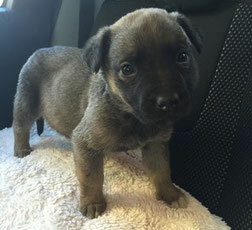 A puppy is very cute but we hope he goes to someone who commits to provide him more training and enough exercise. Meet Geri! She is appx 5-6 years old, 14lbs and spayed. She is very sweet and very friendly. She is good with other dogs but she is more people oriented and may not play with other dogs so often. She is totally fine as an only dog in household. She may not be good with cats because she is desired to chase them. She rarely barks and usually very quiet. She is house trained. She also received her UTD shots and microchipped. Luna is about 4 months old, spayed German Shepherd puppy, currently about 35 lbs. She is growing fast!! As a puppy, she loves to play all day. She does not really chew furniture or shoes. She is highly trainable and needs more training. She gets along with other dogs but gets very excited when she meets other dogs on public. (because she wants to play) She needs a breed experienced dog owner. MItzy just joined our rescue. She is spayed female, appx 5 years old, 9 lbs. She is very sweet and quiet. She is good with other dogs in any size but prefers to be around person. We will have more information about her soon. 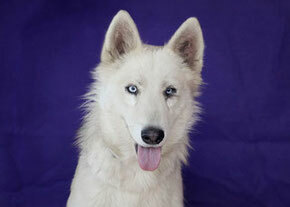 Ash is a 9 month old white German Shepherd. He was just rescued from a local shelter. More information coming soon. 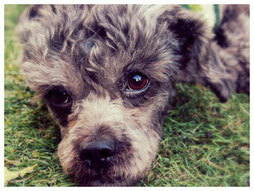 Bobby came to a local shelter as a stray dog with matted dirty coat. The shelter had to shave him and found out he was very under weight. He is currently 4 pounds. He is safe with our rescue at his foster home and has been recovering from a tough period. Once he is about 6 pounds, he will be neutered and be available for adoption. 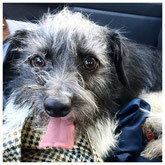 Oliver is appx 2 years old, neutered male, terrier mix. He is very shy at the beginning but warms up soon. Once he warms up, he will stay on your lap and enjoys affection. He gets along with other dogs very well. He is currently at his foster home and lives with some other small dogs and large dogs. About 15 lbs. 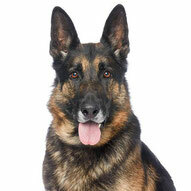 Coronado is an 8 year old, neutered, current on all vaccines Male German Shepherd rescued from a high kill shelter. He is a regal- handsome shepherd that is low key. Yet loves mental and physical activity. 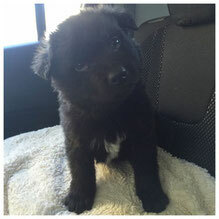 He has been fostered with a house full of dogs his size and as small as 5 lbs. He does well in any home with a confident and gentle leader. Cats seem to be a challenge for him so we suggest no cats. He knows basic commands and is a huge fan of swimming. Coronado is a very loving and lovable fella. Jessie is about 3-4 years old, neutered male, 60 lbs and very friendly. He is very sweet but came to the local shelter as a stray with skin damage. After he was rescued, we provided several tests and found out he got the skin problem from bacteria infection. He has been receiving the treatment since then and his fur is growing back. Meet Stevie!! 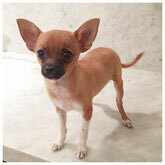 She is 2 months old chihuahua and only 2 lbs. She is very tiny. She is very sweet and friendly. She loves to play with or without other dogs. She loves everything and everybody. She received UTD shots, dewormed and microchipped already but still needs her 2nd/3rd puppy shots, a rabies shot and be spayed. She is too young to do them at this point. Meet Scooter! He is super friendly and gets attached to you from day one! As soon as you meet him, he comes to you, follows you everywhere and enjoys affection. He is Spaniel mix but we do not know what kind of Spaniel mix he is (maybe Pomeranian?). Whatever he is, he is super cute and sweet. He is about 1.5-2 years old. About 16-17 lbs. His fur is beautiful tan/white/golden color and he has a beautiful long tail. Already neutered and crate-trained. We just rescued him from a local high kill shelter and will know him better to provide more information. So far, we have not seen any negative side from him. He must be great with children as well. He is very submissive and great with any dogs (in any size). He met a cat but was not so interested in it. He can be very playful but is normally very quiet and affectionate. He received UTD shots and microchipped as well. BILBO is an adorable, scruffy, grey and brown 5 yr old, 16 lb NEUTERED male Terrier Mix who is people oriented and adores sharing pets and kisses on the lap of his "own special person"! He is quiet and a little shy when he meets new people but warms up in 5-10 min and asks more affection. He is good with children too.BILBO is fine around other dogs but will do great as an only dog. He's not so interested in playing with other dogs but he enjoys being in their company and will lay down next to them when things quiet down. We don't know how he is with cats or other small pets, but we have a feeling he does fine with them. He ignores small animals including a cat when he encounters them during the walk. He has never shown any aggression.BILBO walks great on leash, rides nicely in the car, and is crate trained. Once he learned the routine in his foster home he no longer minds spending time alone.This great guy is quite low maintenance with a low shedding coat. Overall BILBO is a good boy who will make someone a great companion. 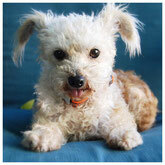 If you are looking to find a new small sized furry best friend, then look no further than BILBO. 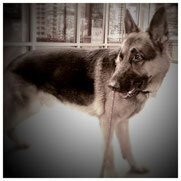 Kaida is beautiful sable color German Shepherd. She is about 1 year old or a little younger, 65-70 lbs, spayed female and good with other dogs in any size and cats. She still has a puppy energy and loves to exercise and play with other dogs. 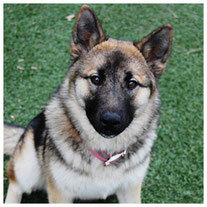 Her foster is a great dog person who can manage this breed and has an amazing dog pack. 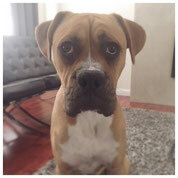 He originally did not plan to foster or own Kaida but was just dog-sitting for her owner who was his close friend... but the owner wanted him to keep Kaida with him... well.. even though he liked Kaida so much, he already owned enough number of dogs.. so he thought it was the best for Kaida to find a home. We decided to take her into our rescue to help finding her forever home and he is going to "foster" her until she finds the right adopter. I think she will be a good fit for person who is active, already has at least one dog (so she can play) and is a breed experienced owner (because she still needs some training as a young shepherd). She is sweet with any people but her energy level might not be good for small children..depends on their experience level. Abby is a petite 3 yr old, 7lb Terrier Mix who was rescued by our rescue group from a local high kill shelter on her last day before she was schedule to be euthanized in the shelter. This tiny dancer charms her way into everyone's heart when she gets up on her hind legs and twirls around with happiness. 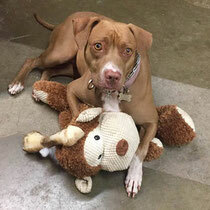 Abby is good on leash and loves going on walks and playing with other dogs. She also has a cuddly side and enjoys keeping her people' laps warm. She sleeps soundly in her kennel each night. She is a great eater. Sometimes, she makes up for her small size with a bark at another dog she sees, but eagerly wags her tail when she meets them. She is potty trained at her foster home but will need to be shown the potty routine at her new house. 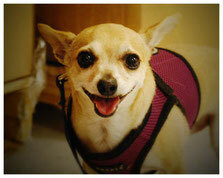 ABBY is a winner with a sweet personality and loves to shower her person with kisses to show her affection! 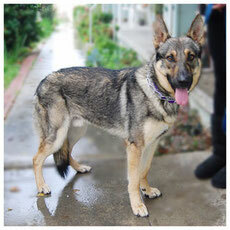 Buddy is 2 years old neutered male German Shepherd about 90 lbs. 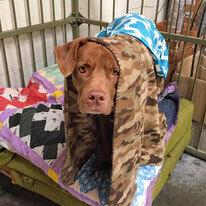 He is shy at the beginning and needs a little time to warm up with new people. We just rescued him from a local shelter and need to know him better. He seems okay with other dogs but needs more tests. 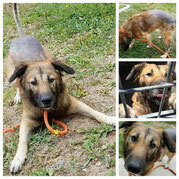 Nymenia just joined our rescue and is still recovering from her spay surgery, She will be available for adoption soon. 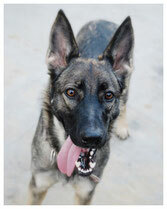 She is about 1.5 -2 years old, only 40 lbs, spayed female and has a very sweet personality. She is good with other dogs and loves people. Sadie is about 8 years old and has a super sweet personality. She was just rescued and is recovering from her spay surgery. She loves people and other dogs in any size. She is quiet and easy. She is about 9 lbs. My name is Kama. I lost one of my front legs but love my life. I was born in Iran. I am about 1.5 years old. I am already neutered and potty trained. I am not sure my breed but I kind of look like Husky/Shep/Collie mix. I am about 55 lbs. I am very good with other dogs, can play and run just like them with my three legs. I have no problem with stairs. I flew from Tehran, Iran to Los Angeles in early December 2016 because a kind lady stepped up to be my foster and contacted my Iranian Rescue team. But I had never lived with cats and chased the lady's cats... so she contacted DOGzHAUS Rescue for help. DOGzHAUS Rescue welcomed me and has helped me to look for my forever home. I was tested with cats again... and I did not chase. I just wanted to play with them but start ignoring them now as a training. Please watch my video, and you will know I am not so different from 4 legged dogs. (video: https://www.youtube.com/watch?v=V2b7k0Io_-I) I am very sweet and love even a stranger. I can bark when people walking by but I wag my tail and give a kiss if they say hi to me. I am not a barker. I behave well in a pack and love exercise. Rudy was just rescued from a local high kill shelter. He is slight under weight and needs to gain at least 5 more lbs. He is currently at his foster home and lives with some other dogs and cats. He has a very mellow personality and is quiet. Currently about 62 lbs. He is about 2 years old. 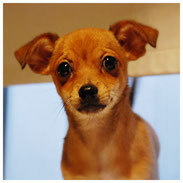 ALAN (chihuahua mix) -small size-. 9 years old, tan color, very playful, neutered male, about 8lbs. Good with other dogs. He is very tiny and sweet. He is a little shy with new people but warm up very quickly and loves affection very much. He is 8 years but still acts like a puppy and loves to play. 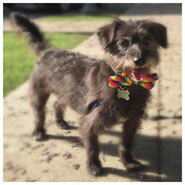 If you are interested in him, please fill out our "Adoption Application"
Tito is 6-8 months old terrier mix. He is 8-9 lbs. He is very friendly and good with other dogs and cats. He just got neutered and getting ready for the adoption. 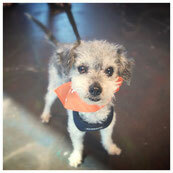 Joey is an adult terrier poodle mix. Appx 2 years old. He is very sweet and friendly but may prefer an adult home without small children. No aggression toward to children but he prefers "a quiet" environment. He has a very sensitive skin and is required to have a high quality diet. He also has level 2 heart murmur which he does not need any medications but a good exercise/a good diet. 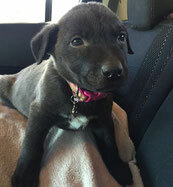 Bonnie was rescued with her siblings by DOGzHAUS Rescue in mid January. She was born on October 25. 2016. Her mother is German Shepherd and we do not know what kind of their father is. She is about 10 lbs but we believe she will be at least 50 lbs when she is fully grown, in a very good healthy condition. She has received 1st and 2nd puppy shots already. Kevin was rescued with her siblings by DOGzHAUS Rescue in mid January. He was born on October 25. 2016. His mother is German Shepherd and we do not know what kind of their father is. He is about 10 lbs but we believe he will be at least 50 lbs when he is fully grown, already neutered, in a very good healthy condition. He has received 1st and 2nd puppy shots already. Meet Lady!!!!! 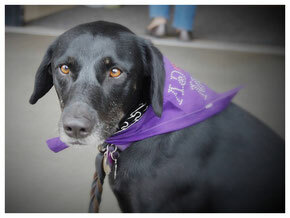 She is about 4-5 years old Labrador Retriever/German Shepherd mix. She is about 52 lbs. She is already spayed and UTD on shots. She was surrendered to a local shelter by her previous owner because they were moving, and we rescued her from the shelter before her time was up. 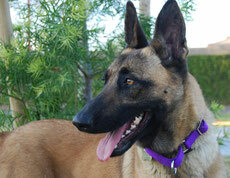 Lily is about 1.5-2 years old Beligian Malinois. She is super sweet with any people including children but needs a little time and a proper introduction with other dogs. Once she warms up, she can do well with other dogs in any size including small dogs. She got a spider bite and has been receiving a treatment. She still has a tiny wound and we are waiting she gets completely healed. Besides the wound on her chest area, she is in a good healthy condition. She is active and needs a lot of exercise. If you are interested in her, please fill out our "Adoption Application"
Scout was rescued with her siblings by DOGzHAUS Rescue in mid January. He was born on October 25. 2016. His mother is German Shepherd and we do not know what kind of their father is. 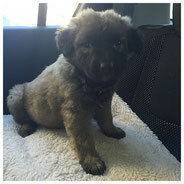 He is about 10 lbs but we believe he will be at least 50 lbs when he is fully grown, in a very good healthy condition. 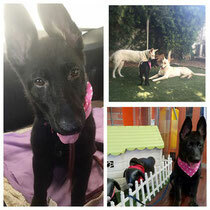 Roxy is 6-7 months old German Shepherd/Husky mix. She is currently about 40-45 lbs and will be bigger when she is fully grown. She has a very sweet personality and loves to play with other dogs. She will be spayed soon and get ready for adoption. Ranger just turned 1 year old in December. He is neutered, is UTD on shots and microchipped. He is VERY sweet and loves everybody including children. He is also good with other dogs. He has medium-high energy and needs a lot of exercise. If you are an active person and loves to walk/run, he will be a great partner. He is still practicing to walk nicely on leash. He is house trained as well. Katmai was rescued with her siblings by DOGzHAUS Rescue in mid January. He was born on October 25. 2016. 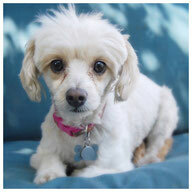 Scarlet was rescued with her siblings by DOGzHAUS Rescue in mid January. She was born on October 25. 2016. Her mother is German Shepherd and we do not know what kind of their father is. She is about 10 lbs but we believe she will be at least 50 lbs when she is fully grown, already spayed, in a very good healthy condition. 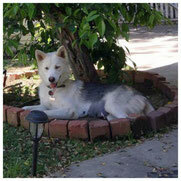 Xanna is 1 year old, spayed female, 65 lbs and good with other dogs. Great with all people including small children. Xena just had her surgery for her entropion. She is recovering and will be completely healed in few weeks. Once she is recovered, she will be available for adoption. If you are interested in her please fill out our "Adoption Application". Meet Audrey!!! She is 11 weeks old (they were born on Oct 5, 2016) and only 3.8 lbs. She is a very happy puppy. Audrey and her sister, Sophie, were found on field in East Los Angeles and caught by Animal Control when they were only 2 weeks old. We immediately got a call from the shelter for help and rescued them. Our foster home bottle fed them at the beginning. They are very healthy and happy. Ready to find their forever home. Audrey is very social and loves everybody. She is great with other dogs in any size (including a large dog) and has been trained to potty on a pee pad in the house. She likes both dry and wet food. As a puppy, she still sleeps a lot and loves to cuddle up to people or other dogs. She was recently spayed, received all vaccination shots (except for a rabies shot due to her age) and microchipped. If you are interested in meeting her, please fill out our "Adoption Application"